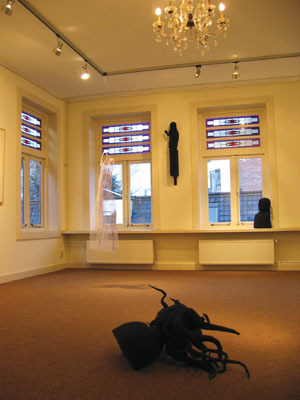 Installation made for the first floor of galery Help U Zelven in Winterswijk. It consists of a new combination of 4 existing sculptures. The two black bustes are normally hanging high on a wall. For this small installation they were placed in alternative ways.